The sounds of Muscle Shoals is tied into the waters, the land and the history of this beautiful place in Alabama. Almost everywhere I visited during the W.C. Handy Music festival tied into the music. Talent played in restaurants, the visitor’s center, hotels and on stages in the streets. 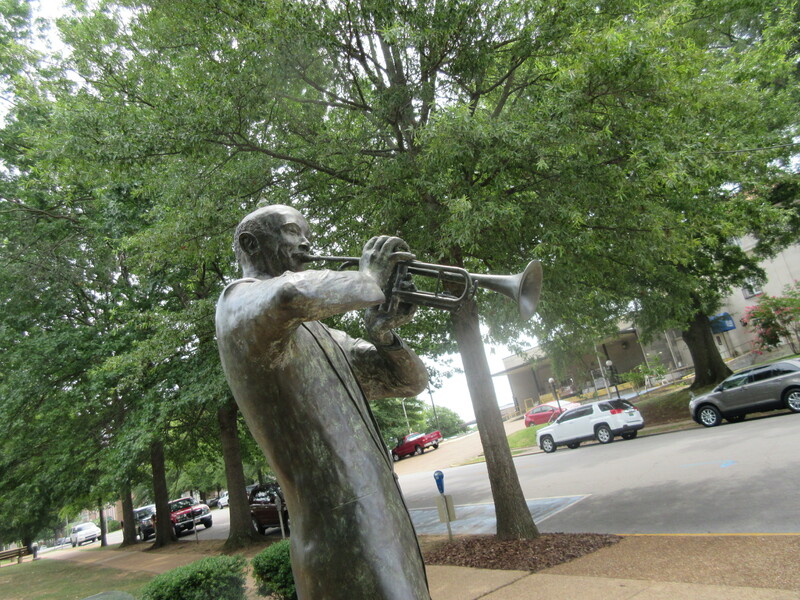 The four towns of Sheffield, Tuscumbia, Florence and Muscle Shoals that compose the shoals had music everywhere so it makes sense that they would have statues to help tell their musical story. W.C. Handy himself, deemed, The Father of the Blues was born in Florence, Alabama and his birthplace and museum is located there. While there is a lovely bust of Handy inside, outside the museum is a fun folk style grouping of statues in honor of W.C. Handy “Bandmaster, Educator and Composer”. The statues are fun and attention grabbing. On the square in Wilson Park downtown, a full sized W.C. Handy sculpture looks over the park playing his horn for all the world to see. The Tennessee River that winds through the Shoals was referred to as the Singing River by the Indian tribes that lived here. In fact, Tom Hendrix has created his own tribute to the Singing River and his great grandmother, Te-lah-nay who was a Yuchi Indian. Once in Oklahoma the young woman couldn’t hear the sound of the music in the water and felt she would die if she remained. She returned home to the music of the Singing River after a five-year journey. 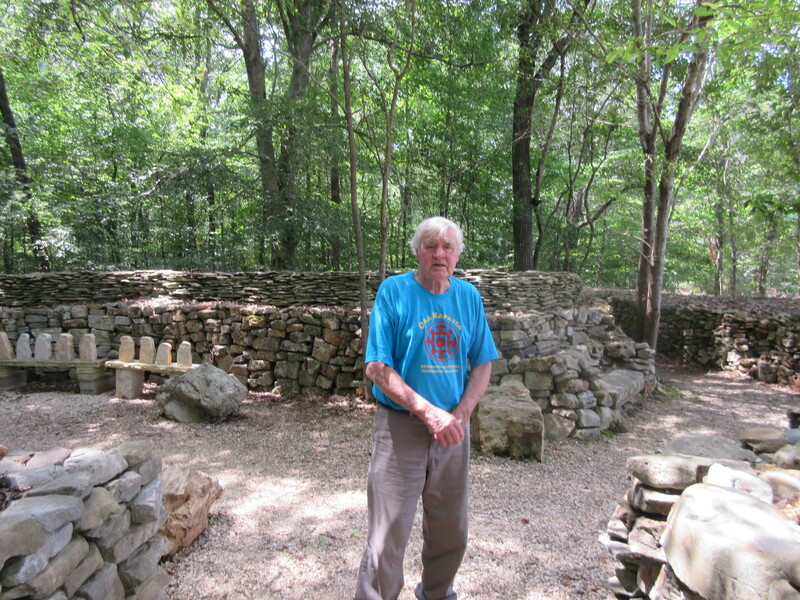 Over a 30-year period Tom has built this a wall as her tribute. Recorded in the Library of Congress the memorial is over a mile long and is the largest un-mortared rock wall in the United States and the largest memorial to a Native American woman. “This has over 27 million pounds of rock, has worn out three trucks, 22 wheel barrows, 2700 pairs of gloves, three dogs, and one old man,” Tom said. The Singing River sound they say was created when a breeze swept across the river’s shoals. The reference is used in the name of the Singing River Statues. Made of aluminum, Wise Alloys donated the aluminum for the first statue located in Sheffield. Georgia Turner Carter of the Florence/Lauderdale County Tourism said resembles Elvis to her. 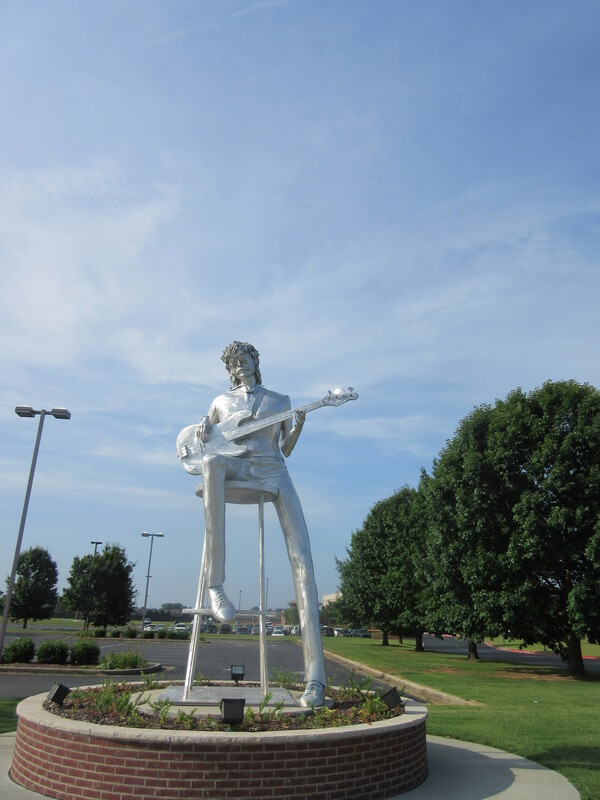 The statue is of a man playing a guitar, a wonderful scene I saw often while at the W.C. Handy Festival when I visited in late July. The statue stands 18-foot-tall and was created by local artist Audwin McGee. Dave Anderson, along with Bill Matthews helped spearhead the project. The sculpture stands 18-feet tall and is crafted out of recycled aluminum from Wise Metals. 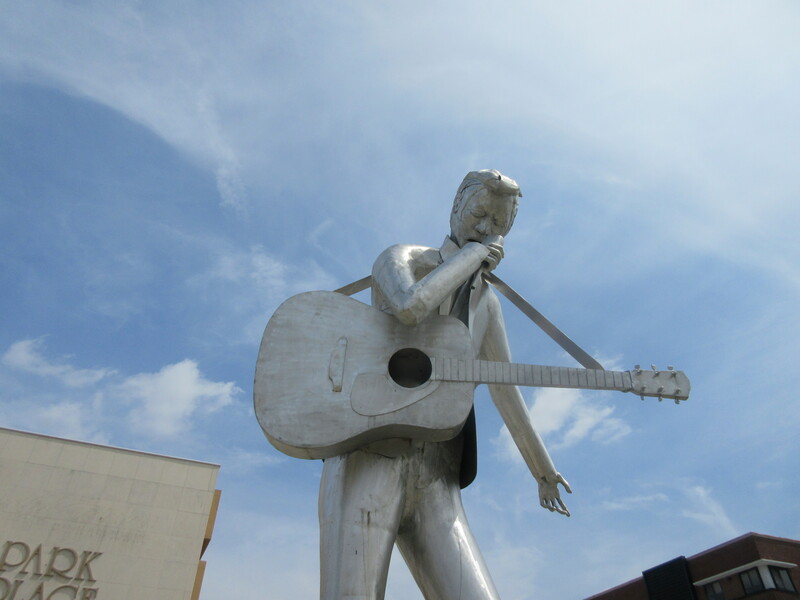 The first statue was installed in 2012, the 2nd in Muscle Shoals in 2014. The second of the Singing River Sculptures depicts a studio session bass player. 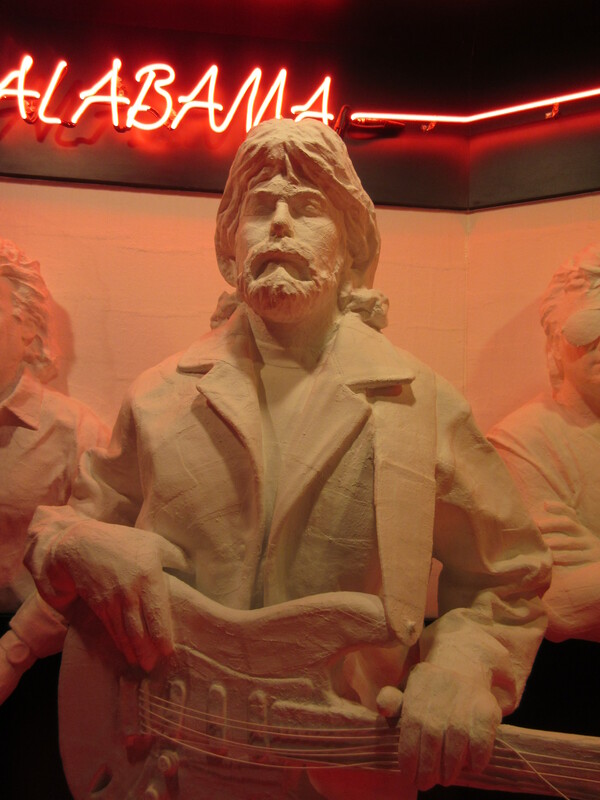 The Alabama Music Hall of Fame was another place where musical statues reigned supreme. Dixie Griffin explained that the hall honors all genres of music and the songwriters and the industry folk as well. In one area plaster casts of famous acts like Alabama and Hank Williams Jr. were on display representing Alabama music. 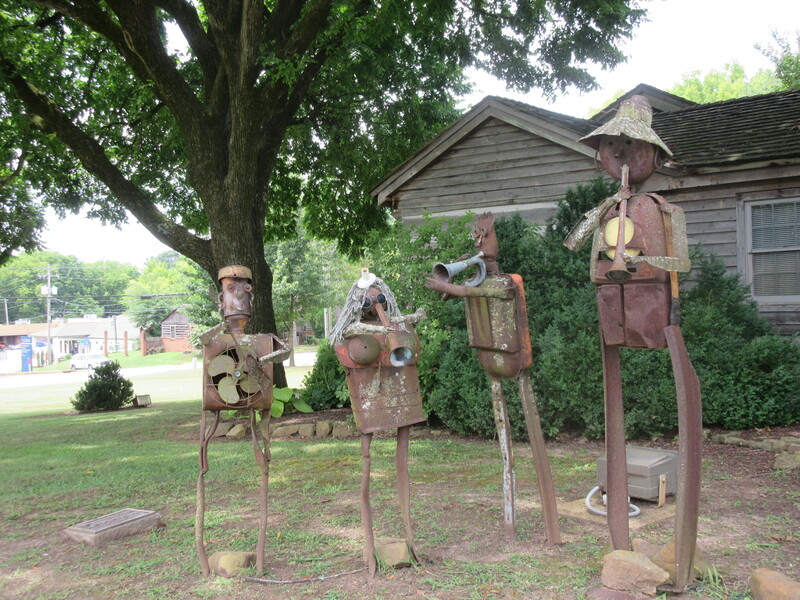 These sculptures from the tribute Tom Hendrix created to the nod to W.C. Handy and the later Muscle Shoals sound developed in the studios that brought more music than I could ever imagine into our hearts and homes, add a lot to the Shoals area. The sculptures of stone, aluminum and more set the imagination to thinking about the music they created and the music to come. Next Post: Celebrating the Blue Moon – backyard party sytle.